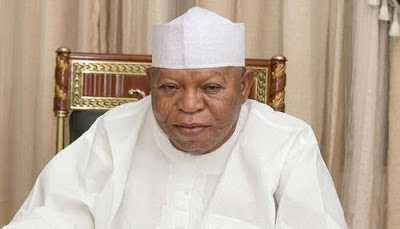 The Police in Kogi state have arrested the son of late Kogi state governor, Abubakar Audu, Mohammed and about 15 other members of the late governor's family. According to the former governor's younger brother, Mustapha, Mohammed and other family members were arrested today and are being detained at the Lokoja Police Division. He accused the state governor of ordering the arrest of his family members. He alleged that the state governor was using the police to intimidate their family because Mohammed in a statement he released recently, mocked the governor for using the scarce resources in the state to organize an award ceremony to mark the state's 25 years anniversary, instead of using the money to pay salaries. Meanwhile the state governor, Yahaya Bello, has denied having any links with the arrests made. A statement from the governor's Chief Press Secretary, Fanwo Kingsley, reads “The Governor did not order the arrest of anybody. However, law enforcement agents are free to effect arrest when anyone infringes the Law. If members of Audu family run foul of the Law, they would not be spared just because they are members of Audu's family”.